Privately nestled in a well-designed and sustainable garden, 'Lonsdale' is one of Singleton's most beloved landmarks. Throughout its life, 'Lonsdale' has been both a family residence and home/business premises, offering a rare opportunity for someone wanting to combine working from home with an idyllic family lifestyle. •	Four spacious bedrooms plus two solid, practical bathrooms. •	Formal reception room along with a relaxed family/dining room. •	Welcoming dine-in kitchen with fuel stove, wine cellar & ducted A/C. •	Sprawling grounds, heated saltwater pool with large deck & garden WC. 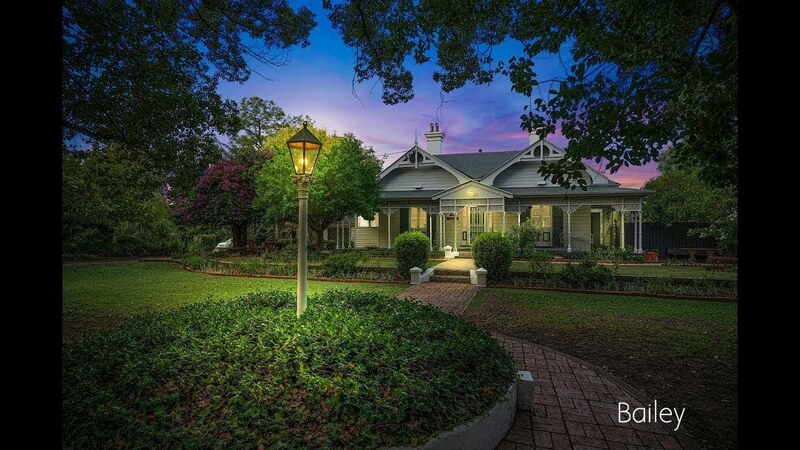 •	Beautiful original features including ironbark floors, high ornate ceilings, marble fireplaces, wrought iron lacework & French doors. •	Triple LUG currently used as a studio with potential for additional self-contained accommodation (STCA). •	Close to exceptional town amenities including medical, sporting, schools, shopping, library and historic walks. A unique opportunity to attain a spacious and private landscape within the centre of the old township of Singleton - Heart of the Hunter. 15 minutes from Hunter Valley Vineyards, 1 hour from Newcastle & 2 hours from Sydney.